Dr. Pietro Baio is a certified chiropractor with a BS and MA in Exercise Science whose specialty is sports rehabilitation and exercise physiology. His present client list contains professional boxers, mixed martial arts fighters and numerous other athletes. He is always searching for ways to make an athlete’s performance the best it can be while at the same time keeping them pain and injury free. A body in suspended animation is one of the most beautiful sights to be savored and appreciated. 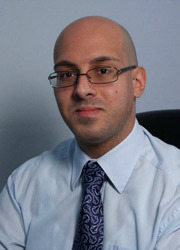 Dr. Baio can be described as a dedicated professional who loves what he does and whose passion is the sport of boxing. He is familiar with the intense training and sacrifices a boxer or MMA fighter must endure to be competitive in their sports as well as to keep their bodies in optimum performance capacity. It’s not all about massages, saunas or whirlpools. Dr. Baio explained what he prescribes when dealing with various athletes and their injuries to muscles, joints, tendons and bones in such a way that it makes a very complicated medical discussion seem unthreatening, informative and enjoyable. That is a gift that many doctors today do not possess. Dr. Pietro’s bed side manner must be rated 5 stars because his sincere, caring and charming personality comes flowing outward when he speaks about his chosen field of study and the clients who become like family to him. Check out Dr. Pietro Biao on Showtime!